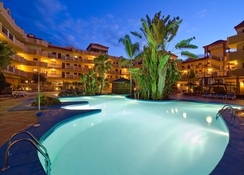 The Elba Castillo San Jorge & Antigua Suite Hotel is situated in Caleta de Fuste, Las Palmas, Spain, with amazingly beautiful views of the Atlantic Ocean. The hotel features outdoor pools, sports facilities, restaurants and various forms of entertainment for adults and children. The beach Playa del Castillo, which is a gorgeous and well preserved beach, is at a walk of few minutes from the property. Local shopping centres are just a few steps away from the guests in the hotel. Elba Castillo San Jorge & Antigua Suite Hotel occupies multiple complexes in the surroundings each having three floors. Guests do not need to step out of the hotel for food and drink, as the main buffet restaurant in the hotel offers breakfast, lunch and dinner-plus there is a snack bar in the hotel, which is situated near the pool. The Elba Castillo San Jorge & Antigua Suite Hotel is located in the Fuerteventura Island, in the beach resort of Caleta de Fuste. The beach Playa del Castillo is about 1.6km and the local shopping markets are about 600 metres from the hotel. It is just a few steps away from the Caleta de Fuste city centre. 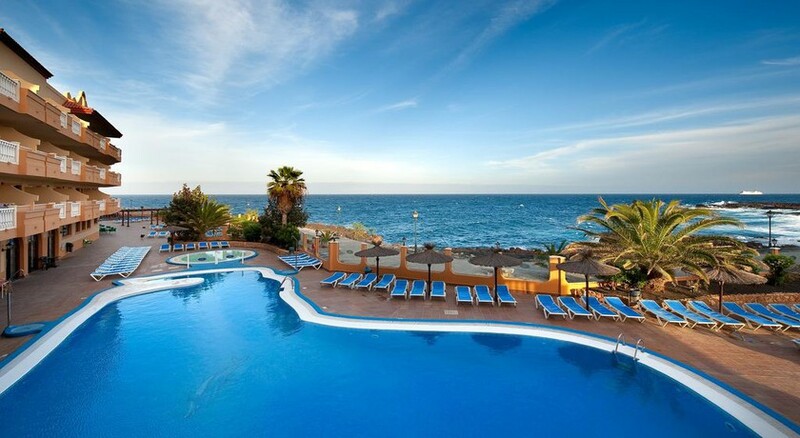 The nearest Airport is the Fuerteventura Airport, which is about 8.4 km from the hotel. A total of 272 rooms are available and are categorized as: Deluxe Double Room, Deluxe Double Room Sea View, Study, Apartment one room, Apartment one room with sea view, Apartment two rooms and Apartment two rooms with sea view. Each room has a fully equipped kitchenette with coffee machine, microwave and mini fridge. These rooms also have a balcony or terrace. Rooms with sea view are available upon request. Bathrooms have shower and all essential amenities. Room facilities include LED TV with satellite channels, telephone, hair dryer, in-room safe and baby cots and high chairs for toddlers. Room service is provided on a day-to-day basis. One bedroom apartments have one bedroom with double bed and one sofa bed. The living area attached to it also has an extra bed. Double bedroom apartments have two separate bedrooms with sofa bed and extra bed in the living area. Deluxe rooms have a double bed and walk-in shower. The main buffet restaurant offers all varieties of delicious meals. They also let guests have a view of the cooking show. The all-inclusive package includes breakfast, lunch and dinner served in buffet style in which dinner buffet offers cooking show. Mineral water, soft drinks, local bear and wine are served with lunch and dinner. There is a Snack Bar present in the hotel in the pool area, which is open from 10am – 6om, offering snacks, ice cream, sandwiches, informal quick dishes and soft drinks. Families and friends can enjoy swimming and splashing in the swimming pools of the hotel. There is a separate children’s pool for the children. Sun terrace, sun loungers and parasols are provided for relaxation to the guests and are free of charge. Guests can also have fun at the Playa del Castillo beach, which is about 700 metres away from the hotel. Holidays in Fuerteventura can be enjoyed with sports activities such as table tennis, billiards and pool table, Catamaran sailing, sailing or diving is also made available by local providers. Golf lovers can head towards the 18-hole golf course situated 2km from the hotel and can reach there through the free shuttle service provided by the hotel. Children can have lots of fun at the mini club, baby kit by Elba, animation and a range of games, performances, entertainment, and musical shows in the night. Hotel should have a higher star but I think it is because the rooms have no air con. I have to say the Manager was very helpful. We paid for a deluxe room , we did not feel that is was is was a little up from basic .